Your Health Matters: Why did I become a nurse? Today's post is written by Jim Recabo, RN BSN, Administrative Nursing Supervisor at Meritus Medical Center, and a Nurse of the Year. I asked Jim to tell us why he decided to become a nurse. I was a young father to two small girls and my wife was doing an awesome job as a stay at home mother. My employment situation may sound familiar to some of you. I worked in retail because it was one of the types of jobs available to those of us who had not gone to college. I worked hard selling shoes, and before long I was offered a great opportunity to manage my own store. This basically meant that you could work as many hours as it took to get the job done (as long as it was at least 48hrs a week) and you never made any overtime. Sounds like a great deal doesn’t it? Well after a few years of 60 hour weeks for very little pay and the increased responsibility of supervising multiple stores, I came to the realization that I was giving away too much time that I should be spending with my family and I was not doing anything to make the world a better place for them. I sat down with my wife and we talked about career options. I knew that I wanted to feel good about the work I would do and that I wanted the opportunity to have a positive impact on my community. As I reflected on my situation, I thought about some of my family members who had been nurses and considered how this career might work for me. You see, my maternal grandmother had been a nurse and of her five daughters, three of them had chosen nursing as well. I did a little research and found that nursing could allow me to help in my community, take pride in the work I do and provide for my young family. I decided that nursing could be a good fit for me. That was when I was 27. Now I am 40 and I am thankful everyday that I chose nursing. I have found all of my suppositions to be true and learned many other things about nursing. I learned that I could share in the joy of a newborn child or revel in the exhilaration of working with trauma patients in one day at work. I learned that, under life and death pressure, I rise to the occasion. I found out that the patients tell the nurses much more than they ever reveal to the doctors. In fact, people in general seem compelled to tell nurses some of the strangest things. I learned how to sit quietly with my patients, keeping them company as they left this world. I discovered that even a big, tough man can cry. I have found that my neighbors seek me out when they are in the hospital because I am a familiar face in a stressful moment in their life. I found that one of my patients will see me at a restaurant and sneakily pay the bill for my family’s breakfast after sitting down next to my mother to tell her that I took great care of him and that she should be proud of her son. It has been reassuring to know that even in a recession with 10% unemployment, I have been able to provide for my family. I also found that if you work twelve-hour shifts, you are off for four days every week. Nursing has been rewarding, challenging, exciting, sobering and without a doubt the right career choice for me. 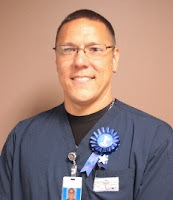 I have worked at Meritus Medical Center, formerly Washington County Hospital, for 6 years now, and there has never been a better time to be a nurse here. The opportunity to provide nursing care in a state-of-the-art facility cannot be underestimated. Whether you are interested in pediatrics, emergency nursing or cardiac cath lab, Meritus Health can offer you an environment to practice your current nursing specialty or venture into a whole new care area. I invite you to check out Meritus Medical Center and consider joining a truly special team of nurses. Visit our website to see a list of current openings.